With the production of the ever popular Yeti having ended in April 2017 there is room for a new SUV in the Skoda Range. 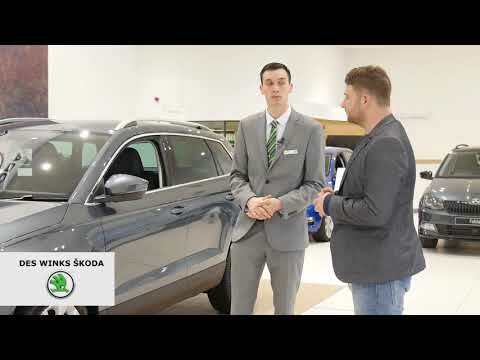 Welcome to Karoq the brother to Kodiaq, it premiered in Stockholm in May 2017 and made its showroom debut in the UK at the start of January 2018. We now have available pricing and specification and the Karoq is in our showroom. We’re offering customers a range of trims from SE, at just £20,875, to the top-of-the range Edition at £31,690. Detailed specification can be found further down the page. Sharing the same striking design language as its stablemate the Kodiaq, the front and rear lights on the brand new compact SUV once again draw their inspiration from Bohemian crystal glass art. The LED headlights and eight lighting strips give the Karoq a unique appearance. At the back, the taillights, also LED, form the trademark ‘C’ shape found on all our vehicles. On the inside, the design accents echo those found in the Kodiaq, but with further enhancements including a digital dash display – a first for ŠKODA. The freely programmable digital instrument panel is offered for the first time in a ŠKODA. In the Karoq, the cockpit displays can be pre-set to the driver’s chosen configuration. Inside the Karoq, LED ambient lighting in the decor strips of the doors and the dashboard can be set in 10 colours. Karoq is offered with a choice of five engines – two petrol and three diesels – with a displacement range of 1.0, 1.5, 1.6 and 2.0 litres. Power output starts at 115ps and rises to a maximum 190ps. All drivetrains are turbocharged direct injection units, feature start-stop technology, brake energy recovery and are EU6 compliant. With the exception of the most powerful diesel, all drivetrains can be ordered with a six-speed manual gearbox or seven-speed DSG. The 2.0 TDI with 190ps comes as standard with 4×4 drive and seven-speed DSG. The new 1.5 TSI also features cylinder deactivation. The boot, which can be opened hands-free using the virtual pedal, has a capacity of 521 litres with the back seats in place. With the rear seats folded down, this volume increases to 1,630 litres. The optional VarioFlex rear seat configuration also means that the boot space can hold between 479 and 588 litres. The seats can be completely removed, effectively transforming the SUV into a van with a maximum loading capacity of 1,810 litres. Need to carry more? The Karoq can also tow a trailer weighing up to two tonnes. Featuring second generation modular infotainment technology (MIB II), Karoq offers state-of-the-art functions and interfaces, and is equipped with capacitive touch displays. 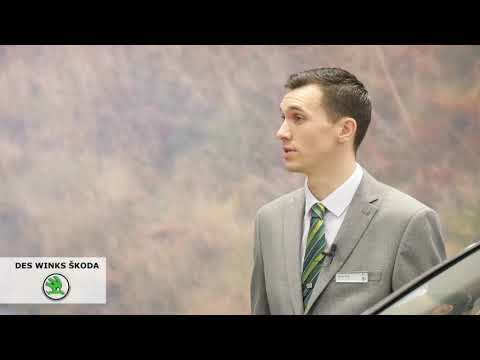 Additional online services can be accessed through the ŠKODA Connect app. These can be used to remotely check, configure and find the car via a smartphone. The Karoq features the SmartLink+ interface, which is compatible with Apple CarPlay, Android Auto and MirrorLinkTM, as an option for the entry-level Swing infotainment system.